How exactly does one cure an egg yolk? And once cured how does it taste? 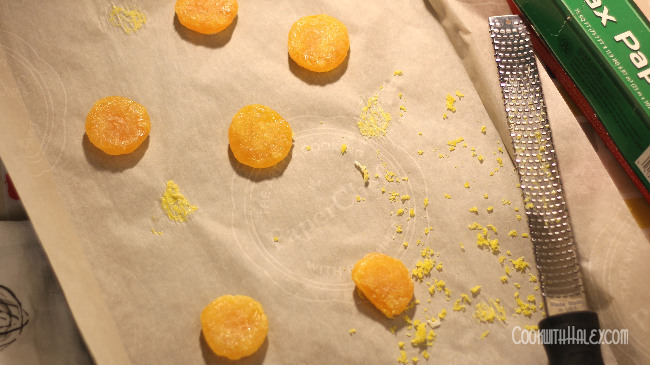 These were just the tip of the iceberg of questions in my head when I read the article on cured egg yolks in Bon Appetite magazine a few months ago. I was so intrigued! Eggs are the most amazing food in the world, after all. There was no question about it, I had to try this. Fortunately, last week I tested a layer cake recipe (soon to come!) that called for six egg whites, no yolks, so I had an abundance of egg yolks on my hands. The answer to the first question can be found below. In regard to taste, these little guys are beautifully rich and flavorful, like a salty, umami punch in the jaw. They have that old familiar bold, eggy flavor of a soft boiled egg yolk that we all know and love, but with the added bonus of a unique texture. They resemble the texture of a semi-soft cheese, like Gruyere. My follow up question was how will I use these? As soon as the question came into my brain it was followed by dozens of potential applications. 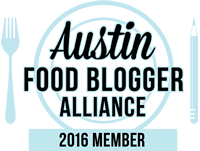 The most obvious of which is to grate them on top of….well… everything. I can envision them melted into a soup or sauce as a rich thickener, shaved over a fresh summer salad to add texture and a different mouthfeel, or maybe even perched atop a grilled steak in lieu of a pat of butter! The possibilities are numerous and I get excited thinking about it. Try them and let me know how you use them in the comments! 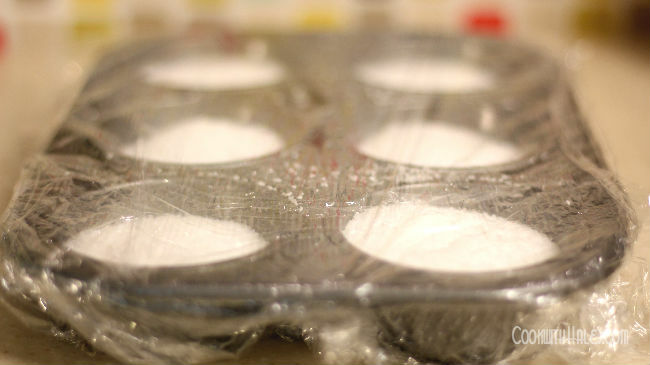 Layer the bottom of each muffin tin cup with 2 tablespoons of kosher salt. 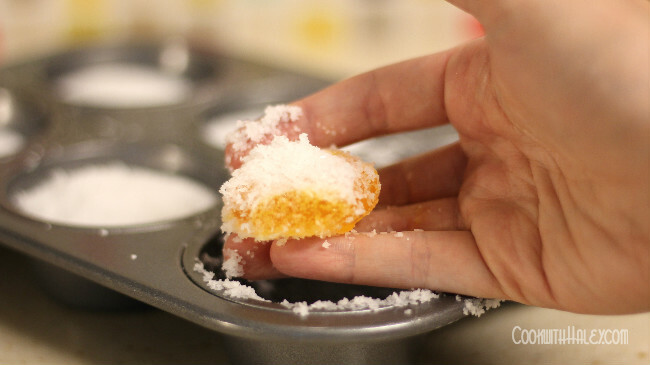 Make a small depression in the first layer of salt right in the center of the muffin tin cup. Set one egg yolk in each cup. Cover each yolk completely with remaining salt. Wrap in plastic wrap and refrigerate for 4-5 days. The depression in the first layer of salt will keep the yolk from sticking to the side of the muffing tin cup while it’s curing. It’s not the end of the world if it does stick, but just a better experience if it doesn’t. Preheat oven to 150 and line a baking sheet with parchment paper. 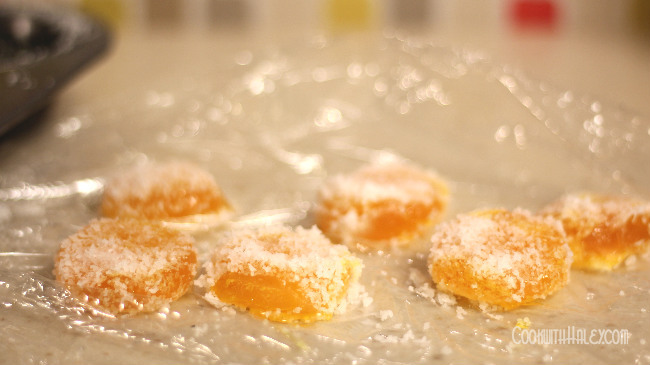 Remove yolks from salt and gently brush off excess salt. Gently rinse under cold water and dry with a paper towel. Brush with a pastry brush. This brushing can be more vigorous than you would expect. Use a delicate touch, but don’t worry about losing the top layer of yolk. Same idea when you rinse; expect the top layer to “melt” off, but rinse quickly so you don’t lose too much of the yolk. Keep them separate on the paper towel otherwise you’ll end up with one giant yolk blob. Ain’t nobody got time for that. 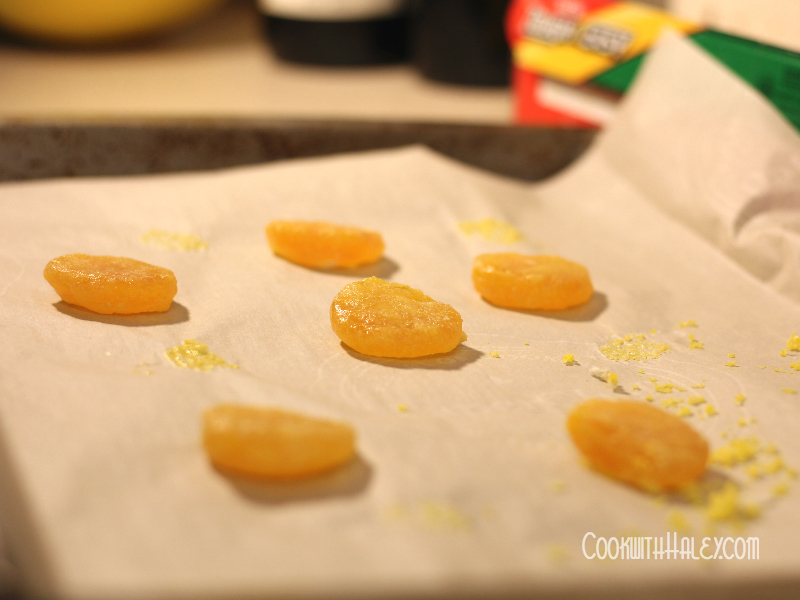 Arrange yolks evenly on lined baking sheet. Bake for 1 1/2-2 hours. Check after 1 hour and turn yolks over. Bake until yolks are dry, opaque, and similar firmness to Gruyere cheese. The tips are from my experience.